When my former employer and friend Steve Greenblatt sent me this link about Alexa For Business, my first thought was – game over. Sounds too good to be true, so I had to give it a try (setup is documented below). Guess what? 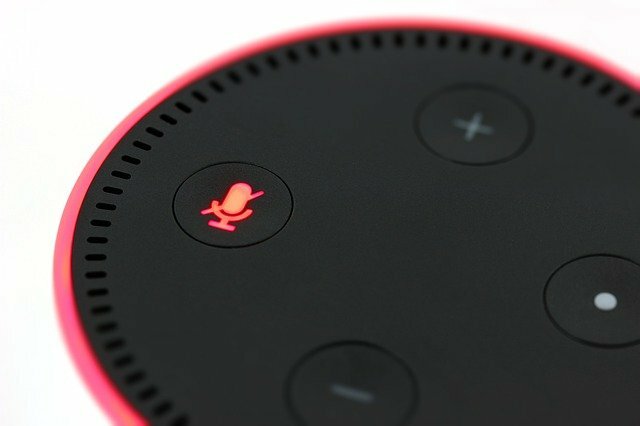 Here are the incomplete steps to setting up an Echo or Dot for Alexa For Business with a private skill. Does this create opportunity for AV Pros or is it more headache than it is worth? Go to your Alexa For Business Dashboard. Go to Rooms and create a Room. Create an IAM user for the Device Setup Tool. In the IAM Management Console, click Users then Add User. Enter a name for the new user, select Programmatic access and click Next. In Set permissions select Attach existing policy directly, then select AlexaforBusinessDeviceSetup from the list and click Next. On the Success Page, note the Access key ID and Secret access key, you’ll need those in a minute. Back in the Device Setup Tool, enter the Access key ID and Secret access key for the new IAM user you just created. The Device Setup Tool will search the network for Alexa devices in setup mode. If you already set up your device, you will need to reset it to get it back into setup mode. Use a paper clip to press and hold the reset button on the bottom of the device. Hold the reset button until the light goes orange, then blue. Then wait for the light to turn orange again. Select your device in the Device Setup Tool and and click Set up Devices. Enter your Wi-Fi Information and click Connect. Wait while the device connects to the network and registers with Alexa for Business. Then click Continue to set up more devices or close the Device Setup Tool if you are done. Back in the Alexa For Business Dashboard, under Shared Devices, click the Refresh button to see your newly registered device. If your device is there, it is ready to be used with Alexa For Business. Under Skills, click the Alexa Skills Store tab and select Latest Eminem Tweet. Just kidding. You can search for a skill and enable it here. If you made a private skill, click the Private skills tab to enable it. There are a few options when adding skills, so check out this help article to learn more about managing skills. In the Alexa For Business Dashboard, click Users. There should be a warning at the top of the page, asking you to create an invitation email on user invitation page. Click on that link and let’s do that now. In User invitations, click Edit. Enter your organisation’s name and support email address and click Save. Go back to Users, click Invite User, enter the user’s information and click Send Invite. You can find Amazon’s documentation for building a private skill here. Set up (or sign in to) an Amazon Developer account. Open Terminal (Max) or Command Prompt (Windows). Go to (or sign up for) your AWS Console. Select the Lambda service (you can use the search bar to find it). Select either US East (N. Virginia) or EU (Ireland), whichever is closest to where your skill will run. Click on Blueprints, search fro and select alexa-skill-kit-sdk-howtoskill. Enter a name for your function like testSkillFunction and a role name like testRoleName then click Create Function. Under Add Triggers click Alexa Skills Kit, then click Add, then click Save. Copy the ARN URL (at the top right) and save it – we’ll need it soon. Go to your Amazon Developer Console, select Alexa then Alexa Skills Kit. Find your skill and click edit. Click Next twice to get to the Configuration tab. Select AWS Lambda ARN and paste the ARN URL (from the Lambda function setup) where it says Default under the Endpoint settings. Get your skill_id from /.ask/config file of the project create with the CLI (this is a hidden file). Then you can enable your private skill in the Alexa For Business dashboard.